An Indiana state police officer’s tweet about a driver going slowly in the left lane has a lot of people on social media talking. Sgt. 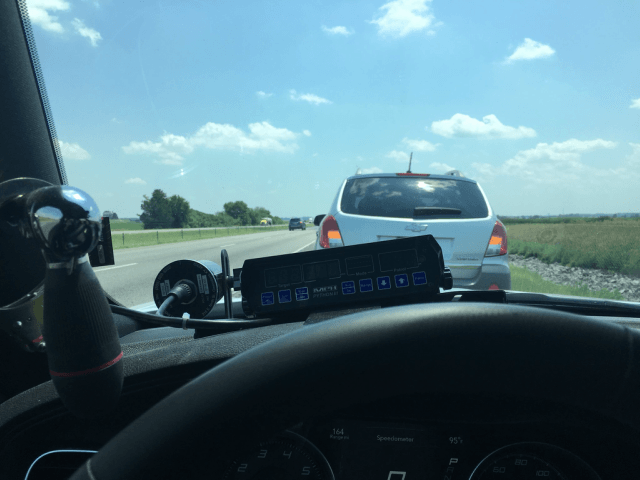 Stephen Wheeles, the public information officer for the Indiana State Police, tweeted a photo Saturday of a driver causing major delays on Interstate 65 before stopping the vehicle for a traffic violation. “I stopped this vehicle today for a left lane violation on I-65. The driver had approximately 20 cars slowed behind her because she would not move back to the right lane,” Wheeles wrote in the post. As of Tuesday evening, Wheeles’ post has been retweeted more than 28,000 times and liked more than 83,000 times. More than 5,000 people also commented on the post, and Wheeles took the opportunity to get creative with responding to those who tweeted at him. Another Twitter asked if people obeying the speed limit in the left lane would be pulled over if other drivers passed them. A 2015 Indiana law states that the police can write tickets if slow left lane drivers refuse to pull over for traffic. Drivers who move too slowly in the left lane can be fined up to $500, according to the Indiana law.